However, athletes – especially those training in sports such as hockey, skiing, snowboarding, ice skating and more – need more than talent to perform: they have to move fast, efficiently, and with confidence and they rely on their quick reflexes, excellent vision and strong hand-eye coordination to succeed. Depth perception (technically known as stereopsis) helps us see the world in three dimensions, with the ability to judge distances and spatial relationships. Since we have two eyes that sit roughly an inch apart from each other, each eye sees something slightly different. Our brains reconcile those images to give us the ability to see in stereo vision, helping us move around in our 3D world without running into things. Consequently, depth perception is something athletes pay attention to: they need excellent vision to support their coordination skills. 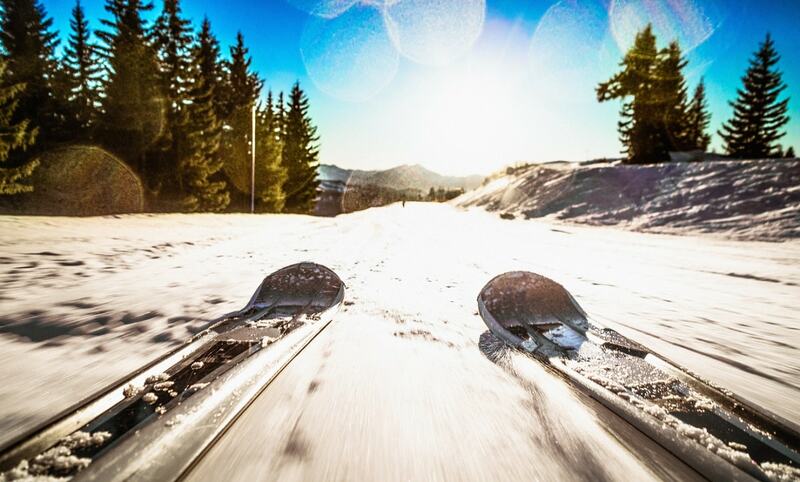 In particular, winter sport athletes like skiers and snowboarders require excellent vision because they are moving downhill at speeds up to 80 miles per hour – putting their depth perception to the test. The most frequent visual challenge for skiers and snowboarders involves the intense sunlight reflecting off bright white snow, making it hard to see moguls and dips. When shooting down the run at high speed, excellent vision and depth perception makes it possible to navigate the obstacles and terrain for an exhilarating ride. When you can’t see well, you are putting yourself and others on the mountain in danger. In order to deal with challenging lighting conditions, skiers and snowboarders rely on googles. However, googles are designed primarily to block out the harmful sun’s rays to protect the eyes, the compromise being they can also reduce color and contrast perception—which can impact depth perception. Let’s first consider a sport like hockey with its fast pace and constant movement. Game play takes place within a player’s entire field of vision. Players have to be adept at handling the puck in front of them while skating, moving the puck back and forth from the inside edge of the stick to the outside edge and back again, all while keeping head up and eyes focused on the net for a shot, on teammates for someone to pass to, and on opponents to avoid them. That requires what is known as our peripheral vision to see the stick and puck action below your central line of vision. Competitive athlete or not, we all rely on excellent vision to move around and perform with confidence. If your vision is impacting your ability to see well and enjoy sports and other physical activities, talk to us to discuss what vision correction options might be a better fit for your lifestyle and vision.